A rare Pierce, a stunning Matchless combination and a superb Vincent Rapide are among the star lots set for the new Charterhouse auction taking place at the upcoming Carole Nash Eurojumble in Netley Marsh. Here’s a run down of the main lots so far, and a link to a gallery of images of each machine. Lots and lot details are subject to change. A 1912 Pierce three-and-a-half HP single, registration number LF 2227, frame number 4447, engine number 4284, dark blue. Pierce Arrows were most associated with the manufacture of luxury cars in the first quarter of the 20th century. Its cars were of the highest quality and appealed to the same clientele as other prestige marques, such as Rolls Royce. It’s motorcycles followed the same line and were both innovative and made to the highest standard. The Motorcycle Division was started by Percy Pierce, (George’s son) in 1909. The first model, an inline four, was joined by a more conventional side valve single in 1910, both models featured the large diameter frame, which incorporated both petrol and oil tanks. Production of both models would cease in 1913, with the company going into receivership. The single cylinder example Charterhouse has the pleasure of offering for auction is a 1912 model with V belt drive, magneto ignition and two speed gearbox. Originally bought to England by a serving Canadian soldier, who would see service in First World War. The Pierce was subsequently registered in 1922, and the first recorded keeper was a Ronald Leslie Carpenter of Petersfield. There are two further keepers recorded in the RF60, both of whom resided in the Hampshire area. The current vendor’s family have owned the Pierce since 1996. An older restoration, which still presents very well, but is in need of some re-commissioning, since the machine has been stored for a few years. This previous Pioneer Run participant, is now reluctantly for sale due to the vendor’s old age and faltering health. RF60, V5C, MOT and tax exempt. A 1950 Vincent Touring Series CR Rapide export model, registration number 762 XUN, frame number RC 6294, engine number F10AB/1/4394, Chinese red. One of only 107 Vincent Rapide Tourers exported to America, finished in the distinctive Chinese red. The export of these large V-twin Vincents came to fruition with a collaboration between Vincent and Indian. Pos-Second World War Indian needed a machine to compete with the Harley-Davidson OHV bikes. The partnership with Vincent worked well, and enabled Indian to maintain a position in the market place through its 2000 dealerships. The export model Rapide differs in detail from its European sibling, with high handle bars, a 19in front and an 18in rear wheel with wider section tyres, and the eye-catching Chinese red livery. RC 6294 was purchased by the vendor in 2005 as a restoration project. It had been with the previous owner for approximately 20 years. Over the next four years the Vincent was rebuilt to a concours standard and has only covered 144 miles since. 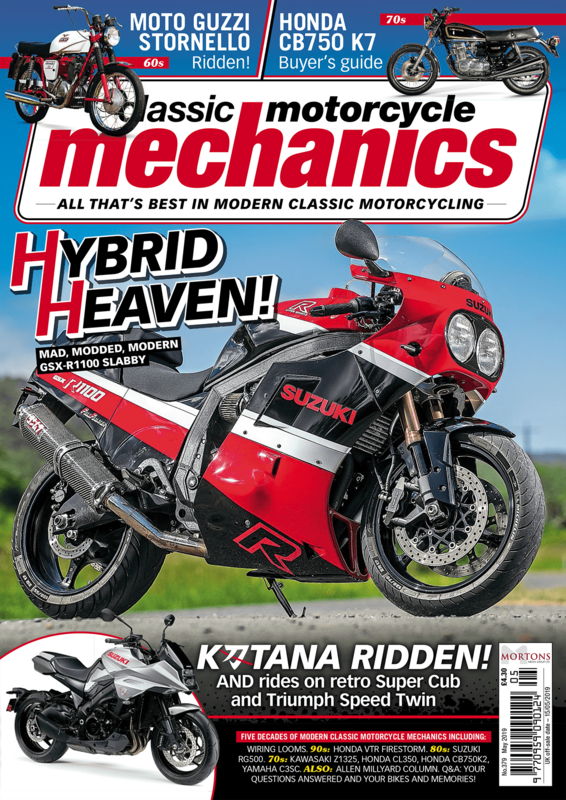 Testament to the high standard of presentation, RC 6294 has graced the front cover of The Classic Motorcycle magazine (November 2012), which features a four page article on the bike. Accompanying the Vincent are copies of the works order form, number 23293, despatched check sheet, completion note, American affidavit of sale and two purchase receipts, a copy of The Classic Motorcycle featuring the Vincent, the first MOT after the restoration in 2009 and general information. This beautifully restored Vincent is only for sale, so the vendor can concentrate on other machines in his collection. Surely now this rare motorcycle would be worthy of inclusion in any important collection. V5C, MOT and tax exempt. A pre-Second World War Brennabor moped, green. This rare German lightweight is in need of restoration. It would appear complete in all major respects and represents a relatively easy and rewarding project for an enthusiast. No accompanying paperwork. A 1963 BSA Rocket Gold Star 650cc replica, registration number YCV 819A, frame number EA7-12312, engine number DA10R 8993, silver, chrome and black. This Rocket Gold Star replica has been built to show-standard by the vendor, using correct parts. During the build the following works were carried out: the engine was rebuilt with relined barrels (10.5/1 high compression pistons), new head guides and oversized valves, new Amal Mk I 930 twin carb conversion, new exhaust, rebuilt close ratio RRT2 gearbox originally supplied by John Gardner, new clutch plates/primary chain, reconditioned magneto and dynamo, new regulator box, wiring loom, Altette horn and ammeter and powder coated frame. Other new parts fitted include oil lines, wheel bearings, fork stanchions, fork bushes, fork oil seals, taper steering bearing conversion, rear shock absorbers, chain guard, drive chain, headlight and seat. A reconditioned speedometer and revolution counter with new cables were fitted, the wheels were rebuilt with new spokes and chrome rims, the original petrol tank was rechromed, as were the front and rear mudguards, stays, handlebars, levers, switchgear and taps. Where possible, the vendor also used stainless steel nuts and bolts and fittings. Since completion it has only been ridden an approximate 100 shakedown miles and will require running-in and final adjustments to the carburettors. This beautifully built and exciting Gold Star replica is now ready to be enjoyed by the next owner. V5C, no MOT, tax exempt. A 1997 Ducati 600SS, registration number R536 KFW, frame number ZDM 600S00415, engine number 015023, Rosso red. With 7500 miles from new, this beautifully presented middleweight Ducati has been cherished by its four owners. The mileage can be verified by a continuous run of MOTs and a comprehensive (mostly Ducati) dealer history. From the last MOT it can be seen that the motorcycle has covered less than 200 miles in the last four years. Offered for auction with the original warranty and service booklet, owner’s handbook, world dealer guide, expired MOTs, receipts, Moto Cinelli pre-inspection certificate and Datatool certificate. V5C, MOT to April 2016. A 1905 White & Poppe single cylinder veteran motorcycle, registration number LN 843, engine number 68-1012-20, brass and black. This charming veteran has a fascinating history, which can be traced back to 1906. The original builder constructed what is commonly known as a ‘one only’. It is effectively a one off machine built by an enthusiast. The 1904 White & Poppe 427cc engine with single speed and no clutch would appear to be housed in a frame constructed from Chater Lea and other components. The Pioneer certificate states a year of 1905 build date. Having been with the current vendor since 1991 the motorcycle has completed the Pioneer Run every year since, always finishing within the first six. The large history contains history of previous owners Mr Matthew Robinson who owned the machine from 1906 to 1930, Mr W Goodridge from 1930 to 1951, Mr Richard Dunmur Beginn from 1951 to 1981 and the vendor. Further information includes expired MOTs, tax discs, Pioneer Run magazines showing LN 843 as a participant in 1931 number 22 (Mr W Goodridge), 1932 number 41 (Mr W Goodridge) and at 1956 number 49 (Mr R T E Dunmur Beginn), maintenance notes, correspondence and a copy of the Daily Mirror (Thursday December 8th 1927) showing Mr Matthew Robinson photographed aboard the motorcycle on page 12. This unique motorcycle is a proven and reliable veteran which has won best boldest at the 29th Carole Nash International Motorcycle Show 2009 is now regrettably for sale so the vendor can concentrate on other machines in his collection. RF60, V5, V5C, MOT to January 2016, tax exempt. A 1970 Kawasaki H1, registration number TBA, red. Introduced in 1969, Kawasaki’s H1 500cc two stroke screamer would send the motorcycling world into a spin. The 500cc motor produced 60 bhp (10 more than a GP Manx Norton) and was capable of 100mph straight out of the crate. This particular H1 has been in the vendor’s care since 2004 and there were five previous keepers. A genuine UK-supplied bike with points ignition which was sold to the first owner by Russells, a Kawasaki dealership in Loughborough. Originally registered on a L suffix, which the vendor believes was due to the motorcycle remaining unsold in the showroom for a couple of years. He has retrospectively registered the Kawasaki on a correct H suffix for the year. During his ownership the Kawasaki has been restored with an overhauled engine, having relined barrels on a standard bore, the barrels, heads and crank cases have been vapour-blasted, the frame and all other black parts have been powder coated, the tank, side and engine covers were resprayed by Race Paint of Eastwood, Nottingham, the front fork stanchions were rechromed, as was the majority of the brightwork, and the exhaust and rear shocks were replaced with reproduction items. The speedometer and rev counters have also been recently overhauled. This iconic 1970s two stroke is now offered for auction with the original dealers handbook. V5C, MOT to April 2016, tax exempt. A 1980 Yamaha SA50 Passola moped, registration number JWV 175W, yellow. With 369 believed miles from new, this Yamaha moped has been dry stored and unused since its last MOT (expired October 2009). It comes to auction with past MOTs, warranty and service log and owner’s handbook. V5C, no MOT. A 1948 Douglas 350 T35, registration YSV 337, frame number T35/S5648/S, silver and blue. New for 1947 the 350 transverse V twin featured the innovative Douglas Radialraulic leading link front forks and advanced swing arm rear suspension unusually for the period controlled by torsion bar suspension . This example has been with the vendor since 1997 and has been regularly used (last MOT expired July 2008). There is receipt on file for the overhaul of the carburettors dated 14/01/08 at a cost of £184.20. This rare and unusual machine is offered for auction with past MOTs and receipts and is to be sold without reserve. V5C, MOT and tax exempt. A 1955 Norton ES2, registration number UWA 967, frame number K4 61174, engine number K461174, silver. This ES2 was originally sold by Dan Bradbury Motorcycle Ltd of London Road Sheffield, to its first registered keeper a Mr R Turner who was also a resident in the city. The Norton has been in the vendor’s care since 1988 and was purchased as a restoration project (there is a note on file that states that it was in several boxes!) having rebuilt the motorcycle the machine was used regularly but sparingly, and there are MOTs on file which shows that the Norton has travelled approximately 1000 miles since 1998. The vendor informs us that Norton is running but now requires some TLC and general fettling. The accompanying history file contains past MOTs and a Norton Owner’s Club dating letter. The Norton is to be offered for auction without any reserve. RF60, V5, V5C, MOT and tax exempt. A 1964 BSA A50 Royal Star, registration number XFX 426B, frame number A506887, engine number A50A391C, blue. This BSA A50 was exported to North America and returned to these shores in 1991. It was purchased by the vendor 18 years ago as a 50th birthday present. It required restoration which he completed to a good standard and the BSA returned to the road after obtaining its first MOT in April 1997. Since then A50 has travelled relatively few miles as can be seen by the MOTs with approximately 3,000 miles being added to the odometer. The vendor advises us that the BSA is running well but would benefit from some general tidying now. The A50 is offered for auction with past MOTs, tax discs, photocopies of the American title, a BSA dating letter, workshop manuals, general literature and some spares. V5C, MOT TBA, tax exempt. A 1957 Phillips Gadabout moped, registration number 971 UYJ, red. Phillips were part of the Raleigh group and had a small presence in the moped market during the 50s and 60s. This Gadabout is offered for auction in unrestored condition. V5C, MOT and tax exempt. A 1978 BMW R100/7, registration number WHK 734S, frame number 6045 399, engine number 6045 399, blue. This BMW is the second motorcycle to be offered from the collection from the late Squadron Leader Peter Henley. The motorcycle was purchased by Peter from Difazio Motorcycles, an independent BMW dealer in Frome Somerset. As was Peter’s way there is a journal of expenditure and works carried out during his ownership. The accompanying history file contains receipts, expired MOTs and tax discs, the journal, handbooks, photographs, a Haynes manual and a magazine article. A well maintained machine which is fitted with BMW panniers and an after market fly screen. V5C, MOT to October 2015. A 2006 Triumph Bonneville T100, registration number HF56 EGJ, frame number SMTTJ9152G6255344, engine number 256387, black and cream. With 3000 miles from new on the odometer, this T100 was purchased new by Peter Henley from Three Cross Motorcycles Ltd Wimborne, Dorset. This Triumph is hardly run in and is presented in excellent condition. It is fitted with the optional extras of Triumph leather panniers, fly screen, performance exhausts and grab rail. A fastidiously maintained machines, comes to auction with a history file containing the original bill of sale, handbooks, service book, brochures, receipts, expired MOTs, tax discs, a journal of maintenance and expenditure, SORNs and photographs. V5C, MOT to September 2015. A 1965 Honda CB92E Benly Super Sports, registration number CRU 569C, frame number CB92B-33103294, engine number CB92-3103248, silver and red. The 125cc twin CB92 featured a chain driven overhead camshaft, horizontally split crank case, a pressed steel spine frame, leading link front forks and that fantastic engine which delivered 15 bhp, at 10,500 rpm, a huge figure for a 125. This class leading specification offered 250 beating performance and was hugely successful in period and is one of the most desirable early Japanese classics today. This restored example has continuous history from new. It is presented in excellent condition, and has spent the last 10 years in the previous owner’s sitting room. There is a large history file accompanying the Honda with a detailed log of the restoration contained in a notebook, which was completed in 1997 and cost £3052 in parts and took approximately 400 hours labour to split and rebuild it, Gold Wing Magazine vol 23 issue number 1, March 1984, where the motorcycle is featured on the front cover, G Wing Winter 1964, original parts lists, a list of previous owners and correspondence. This very well restored and extremely collectible early Honda is worthy of inclusion in any important collection. RF60, V5C, no MOT. A 1951 Norton Big 4, registration number VAS 420, frame number F339832, silver and black. Norton’s Model 1 or more commonly known as Big 4 was manufactured between 1907 & 1954 in various forms. This particular model range saw service with The British Army during WWII and became a firm favourite back in civvy street where they found favour pulling many a sidecar outfit. This particular post WWII example has been restored by the vendor to a good standard whilst in his 20 year ownership. During the restoration the engine was rebuilt top and bottom with a new piston supplied by F W Thornford & Son Ltd. Since the restoration the machine has seen little use and will require general recommissioning before taking to the road once again. V5C, MOT and tax exempt. A 1960 Royal Enfield Meteor Minor, registration number 134 RPK, red. A rare motorcycle in period and now an even rarer sight on today’s roads, as the Meteor Minor never had the appeal of its rival 500cc twin. It featured an over square 496cc overhead valve vertical twin engine with separate light alloy cylinder heads and an Albion four speed gearbox. It was more than capable of keeping up with the competition and had a very respectable top speed of 98mph when new. This Meteor Minor comes to auction from a deceased’s estate. It would appear in good condition but it is not known when the machine was last used, and to this end it is advised that the motorcycle will require re-commissioning and the usual safety checks before being ridden. V5C, no MOT, tax exempt. A 1958 TWN (Triumph Werke Nurnberg) Cornet, registration number TBA, black. This rare German two stroke 198cc single has a very unusual engine incorporating twin pistons in the single cylinder and features electric start which is another very unusual feature for a late 1950s motorcycle. Having formed part of large collection of motorcycles this TWN has been in storage for the last two years but up until that point the vendor informs us that the machine was running well. The vendor now informs us that the machine will require general recommissioning after storage and a new battery will be required. The TWN is offered for auction with a list of parts fitted and owner’s manual. RF60, MOT and tax exempt. A 1952 Indian Brave, registration number NSV 906, red. Indian renown for their large V twin motorcycles, also produced a smaller 250cc side valve engined machine, which was manufactured by Brockhouse Engineering of Southport (the makers of the Corgi). The Brave had the 250cc side value engine, which remained in production until the mid-1950s, and ceased production when the company was taken over by Royal Enfield. This rare machine has performed part of a large collection of motorcycles in recent years, and has been kept in dry storage. The vendor informs us that the motorcycle was last used in 2014, when it was said to be running well. Unfortunately, the vendor has lost the key but a replacement should be available through the Owners’ Club. During his ownership, the motorcycle has benefited from a new exhaust pipe and is now only for sale due to the owner’s ill health. V5C, MOT and tax exempt. A 1966 Gilera Giubileo150cc 5V Sport Extra, registration number FHJ 511D, yellow with bronze frame. This rare Gilera has formed part of a large private collection. It was last used in 2014, when the vendor informs us that it was running well. It benefits from an engine rebore, with new piston, which still requires further running in a five speed gearbox and alloy wheels. Its last MOT expired in May 2015, and now will require general fettling and the usual safety checks before passing its new MOT and taking to the road. It is now unfortunately, only reluctantly for sale due to the owner’s ill health. V5C, no MOT, tax exempt. A 1976 Maico 440cc motocrosser, yellow. This classic twin shock scrambler has been restored by the vendor to a high standard and the motorcycle is in race ready condition. During the sympathetic restoration the machine has been kept as standard as possible. The engine has received new crank bearings and seals, it has been rebored and fitted with a Wossner 82.92mm high compression piston (part number 8099D100), a new primary chain, a new Bing carburettor, a reconditioned stator coil, a new ignition coil, the frame was powder coated, new swing arm bearings were fitted, a new exhaust system was fitted, new tyres were also fitted with other components being either recommissioned or serviced as necessary. After all of this hard work the Maico has had a couple of shake down outings and is said by the vendor to now be running very well and ready for some serious action. Maicos are very popular and capable machines in the right hands and this restored example is ready to be used in anger. No accompanying paperwork. 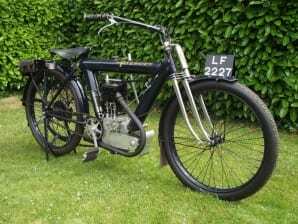 A 1926 Matchless Model M combination, registration number SR 5590, frame number 2122, engine number M857, Matchless grey. This rare vintage combination has been in the same family ownership since 1972, when it was purchased for £250. SR 5590 is presented in the usual Matchless grey (green), which was last repainted approximately five years ago. SR 5590 is a well known machine on the VMC scene, having participated at numerous events, including The Banbury Run on numerous occasions. 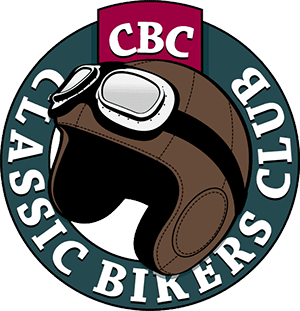 It featured on the front cover of the The Classic Motorcycle October/November 1982, and the The Vintage Motorcycle January 2007, whilst participating on the runs. Now reluctantly for sale due to a change in family circumstances, this extremely rare and much admired machine is offered for sale with a large history file containing photographs, an original owner’s handbook, receipts and RF60. V5C, MOT and tax exempt. A 1961 Velocette Venom, registration number YSV 594, frame number RS 16320, engine number VM5462, black. Introduced in 1956 the Venom would remain in production until 1971, and represents the very best of the British sports single tradition. These well engineered thorough-bred sports machines are just as highly praised and sought after today as they were in period. This particular example has been with the enthusiast vendor since 1997. He advises us that the Velocette is generally in good condition, but the engine is now in need of a rebuild with either a re-bore or re-sleeve. V5, V5C, no MOT, tax exempt.